Trevor Power and Sandra Mulcahy have been producing free range eggs on their farm in Ballinamult for the past ten years. These free range eggs are produced by hens that live in their natural surroundings and are free to roam within the protected boundaries of the farmland. In 2005 the opportunity arose to join the local farmers market in both Dungarvan and Clonmel. This has proved to be a great success and demand has increased year after year. We are very much aware that our success is as a result of the continued support from our very loyal customers. A question that constantly arose at the markets was “where can we get these eggs if we cannot make it to the farmers market?”. This inspired us to investigate the possibility of supplying local shops directly and set to work on setting up our own egg packing and grading facilities. 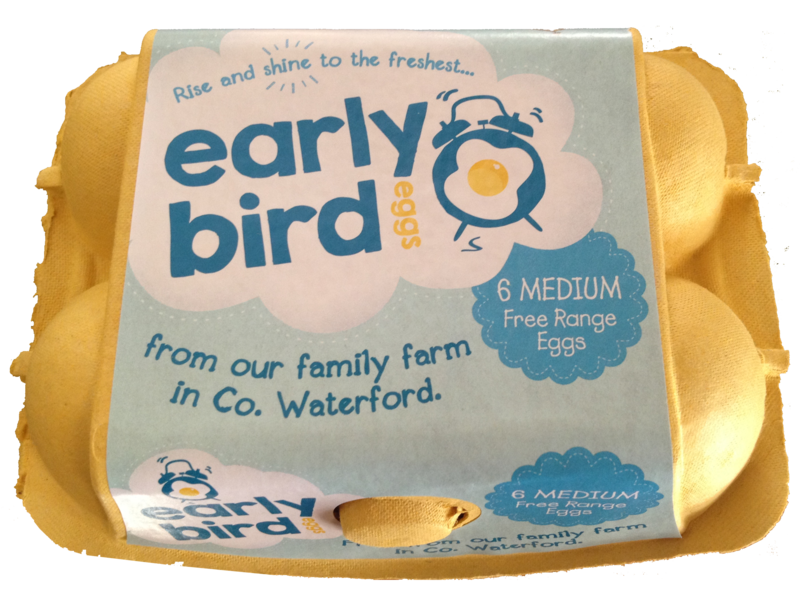 In 2014 after many months of hard work our new brand “Early Bird Free Range Eggs” was launched. We now have a registered and approved egg packing centre with the Department of Agriculture. This makes us unique in that we are currently the only free range egg producer with approved egg packing and grading facilities in Co Waterford. Having this approval allows Early Bird Free Range Eggs to be delivered straight from the farm to the local shops and retailers. 2014 was a busy year all round as we were also one of the first food producers to graduate from the Food Academy Program (a Bord Bia, Supervalu and Local Enterprise Office network initiative to support small food producers). This paved the way for Early Bird Free Range Eggs to be stocked on the shelves of local Supervalu stores. 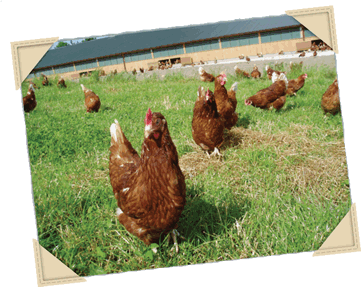 We are passionate about the welfare of our hens and the quality of our eggs. If you want fresh, local, tasty free range eggs laid by happy hens then these are the eggs for you. Once you try them you will definitely be back for more!